After a good night’s sleep we enjoyed the Ibis buffet breakfast which was included in our room rate. The breakfast room features a seaside theme with imitation sticks of Blackpool rock adorning it’s walls. The restaurant overlooks the sea so we were able to watch the trams pass along the promenade whilst we were sipping our morning cups of coffee. After checking out of the hotel we made use of our second PlusBus ticket by catching a No.11 bus from nearby Corporation Street to St. Annes-on-Sea. The bus took 30 minutes to reach St. Annes, only a short journey but a complete contrast to the bright lights of Blackpool. Leaving the bus in the main square we started off by taking a stroll along the seafront. 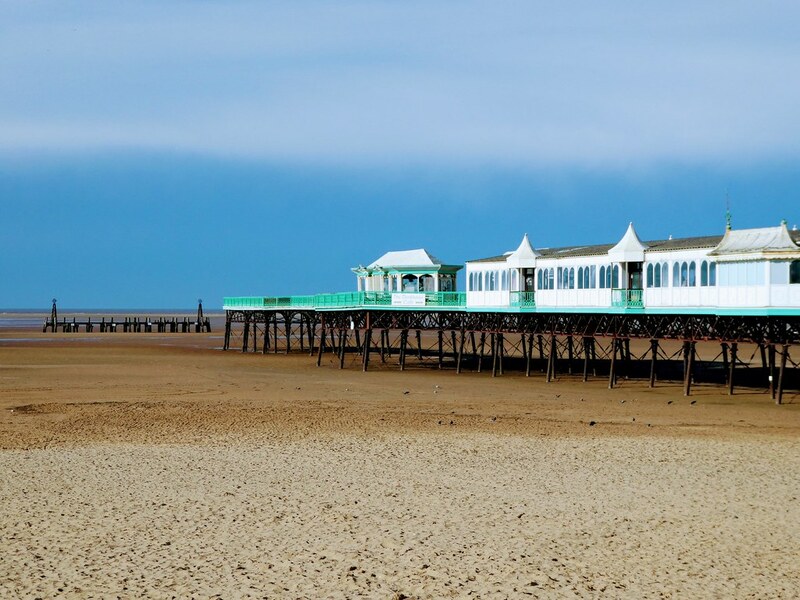 Overlooking the square lies the town’s Victorian pier which was constructed in 1885. With its Tudor style entrance it reflects the town’s heritage and exudes a feeling of grandeur even if it’s clock is no longer working. Stepping inside though we were saddened to notice that it’s now one big amusement arcade full of slot machines. There’s a small cafe and one or two kiosks selling seaside paraphernalia but that’s about it. The outside area at the end of the pier was closed to visitors as some maintenance work was taking place. The pier used to boast both a Pavilion and a Floral Hall but both were destroyed by fire in separate incidents. The length of the pier was reduced by 314 ft to 600 ft when the jetty at the seaward end was demolished and the remains of the jetty can be seen on the above photograph. 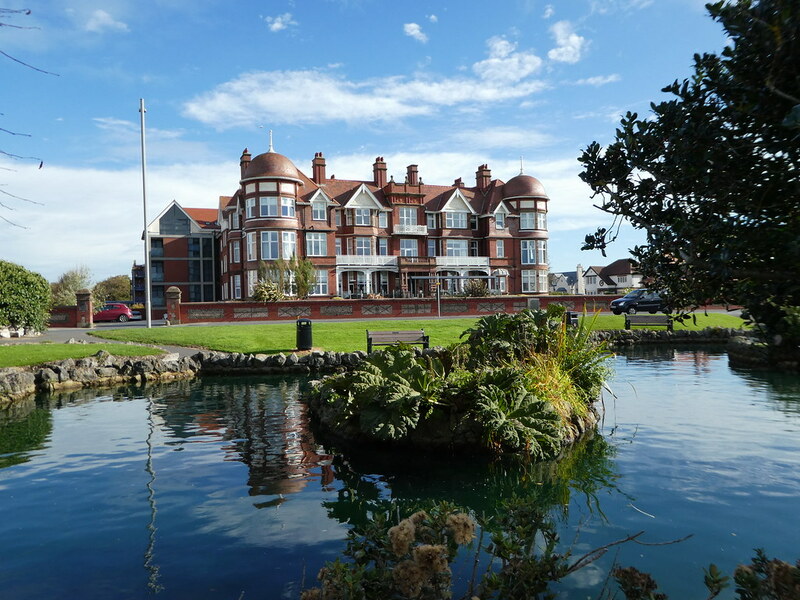 On leaving the pier we strolled through the promenade gardens passing the Victorian bandstand and ornamental fountain, both of which had been carefully restored and surrounded by ponds and neat flower borders. 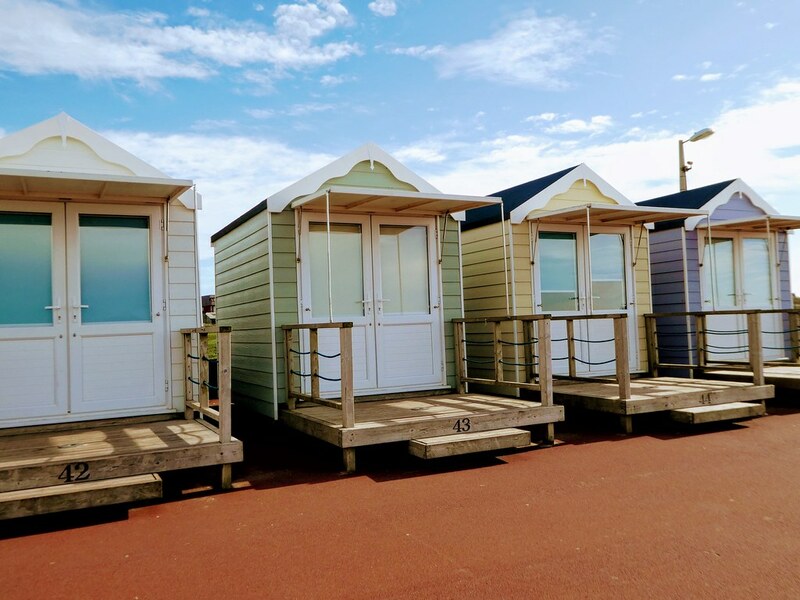 Returning to the seafront we spotted these newly constructed beach huts which looked very stylish and are available to rent by the day or week, offering uninterrupted views over the Irish Sea. A short stroll inland took us to the town centre where we found some inviting small shops on either side of the broad square. 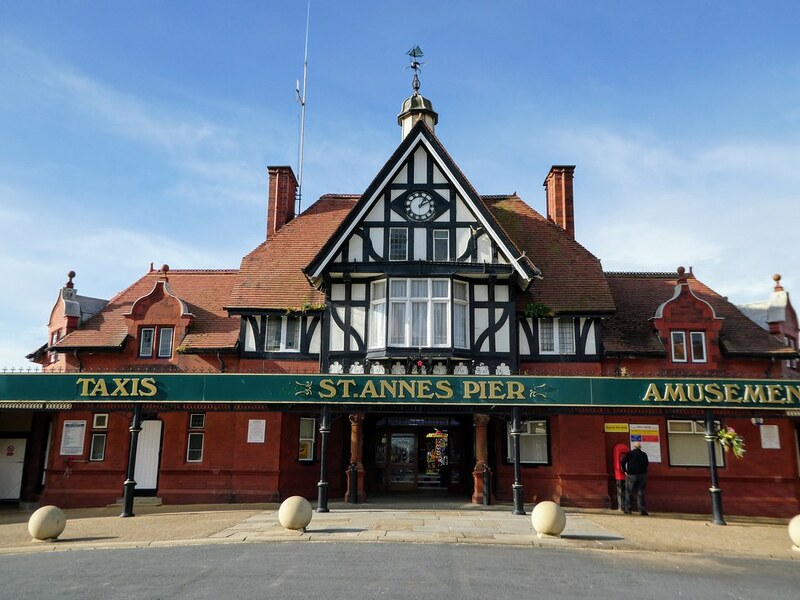 There’s little evidence of flashy Blackpool here, as St. Annes gives visitors an impression of affluence with its stylish cafes and boutiques on tree lined avenues. After pausing for coffee in a cafe on Wood Street we returned by bus to Blackpool just as it had started to rain. 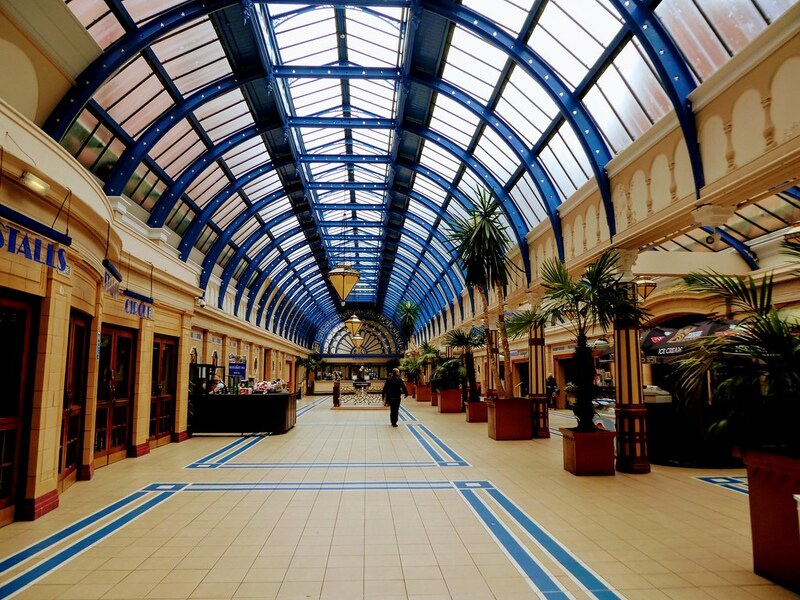 The rain was falling heavily when we arrived back into Blackpool but that didn’t matter too much as we wanted to look inside the Winter Gardens complex which comprises a collection of theatres, exhibition halls and a ballroom. Constructed in 1878, visitors are welcome indoors without charge and we enjoyed viewing the Art Deco interior and marvelling at its elegant Empress Ballroom. 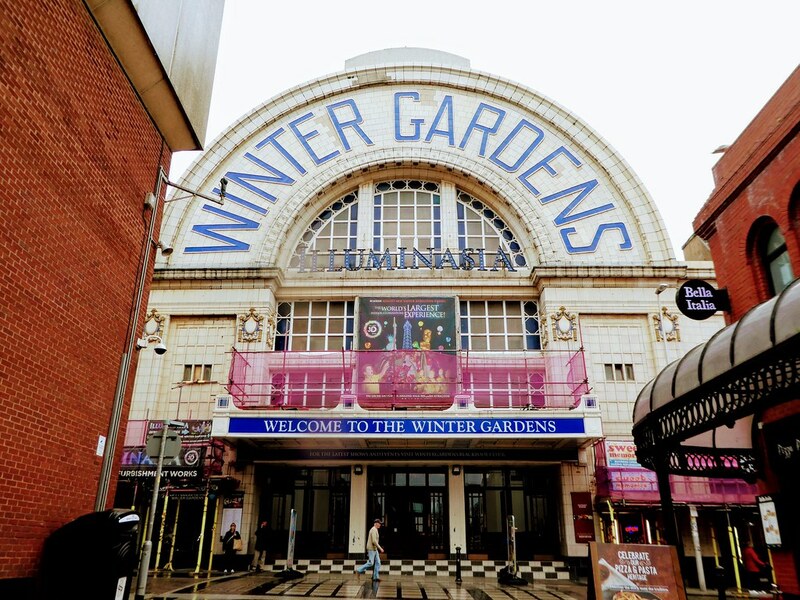 The Winter Gardens has over the years hosted the conferences of all three main UK political parties and that of several Trades Unions. Its Opera House is one of the country’s largest theatres seating 3,000 people and still attracts top performers to its stage. In the Opera House foyer we were interested to view a recent statue of the comedy legends Morecambe and Wise. 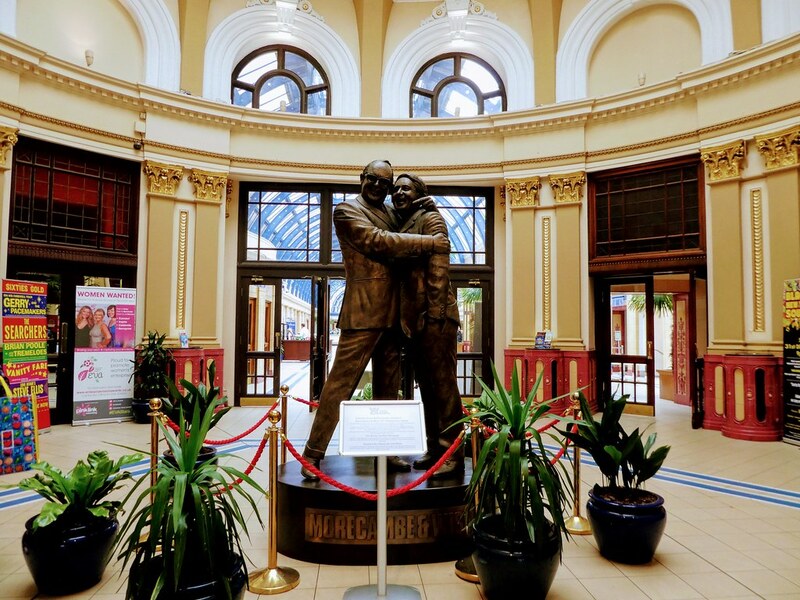 This bronze statue was unveiled in 2016 to commemorate more than 1,000 appearances of the comedy duo in Blackpool, their spiritual home. Still raining heavily, we made good use of our day tickets by taking a No.2 bus to the small market town of Poulton-le-Fylde five miles away. 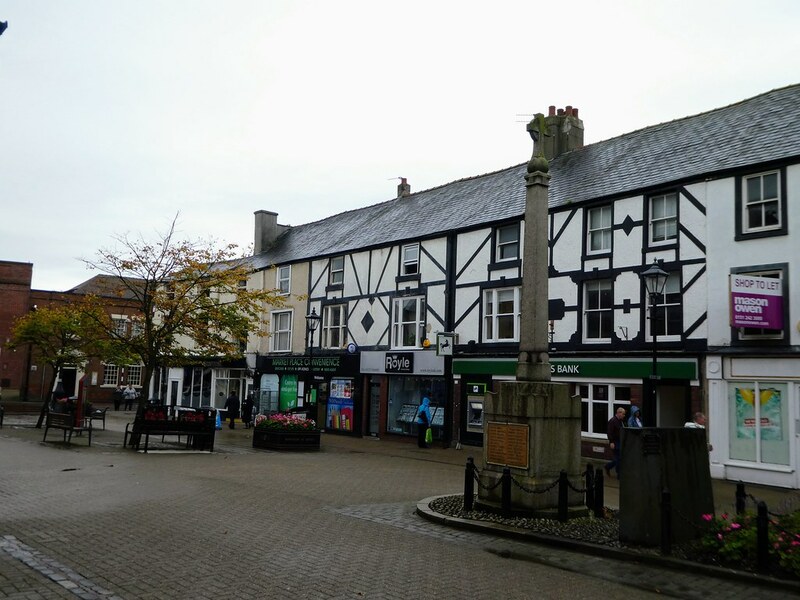 The town centre is in a conservation area and the historic market place is closed to traffic. At one end of the square lies the parish church of St. Chad’s, it’s churchyard being noted for its springtime crocus displays. 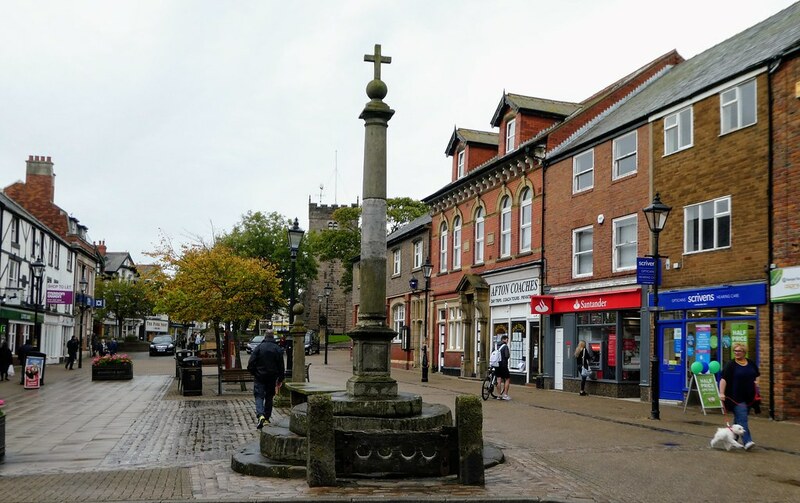 At the head of the market place stands the town’s war memorial, market cross and stocks. The stocks which can be seen in the foreground of the above photo were restraining devices formerly used for punishment by public humiliation. The town boasts 15 buildings listed by English Heritage, it was just a pity that we couldn’t see them at their best due to the poor weather. To keep dry we glanced in the small, enclosed shopping mall and the new Booths supermarket which sells a range of high quality produce and has an attractive cafe on its upper floor. 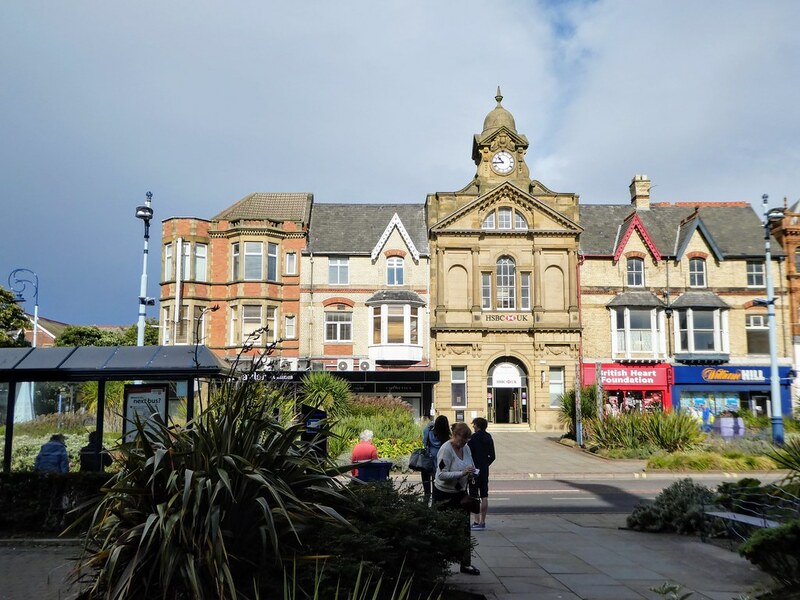 Having seen most of what the town had to offer, we hopped on a waiting bus back into Blackpool to have a meal before returning home that evening. And finally, our verdict on a short break in Blackpool – it’s big, it’s brash but for a traditional seaside break it’s definitely good fun! Blackpool is a fun place to visit especially during the Illuminations. Another enjoyable day traveling with you around Blackpool! These small places look delightful and are in contrast to the bright and showy Blackpool. Glad to see you were not put off by the weather. Your photos, as usual, are fabulous. They give a real sense of the places you visited. Thank you so much for your positive feedback on my post. It’s a pity that the small neighbouring towns of Blackpool are often overlooked as they are definitely worth visiting. Blackpool is a ‘special’ place. We visit every July for a long weekend to watch the darts at Winter Gardens. It is a beer orientated break but over the years we have discovered most places, included some different pubs, quirky pubs and plain awful pubs. Would I recommend Blackpool? Yes, but with a big warning that it is its own little place and not representative of the rest of the UK! Thank you for getting in touch. I’m glad you like Blackpool and I agree with you that it is totally unique. Like is a strong word, but I do love my weekends up there! Hope I get to see this one day! Looks amazing! I hope so too. Thank you for your much appreciated comments. Of course I’ll take a look now. I love your photo of Winter Garden’s main hallway! Thanks so much Piia, hope you get a chance to visit one day. You must have huge tidal variations in that area judging by the jetty standing tall in that waterless expanse. Loved the Tudor constructions and scenery and of course the little shack changing buildings at the beach. I enjoy your travel blogs. The Tudor buildings are very attractive here Ian and I’m so pleased to read that you are continuing to enjoy my posts. Thank you for your continued support of Love Travelling. I’ve always wondered how a beach town can make it with such drab weather. The architecture all looks fantastic though; maybe it draws attention away from the skies! We do get sunny days occasionally you know! We’ve stayed at Ibis and sometimes it’s pretty nice and sometimes not. The free breakfast is usually pretty good. We’ve usually been quite impressed with the standard of Ibis hotels with their good value room rates. I think they may have only recently taken over the Blackpool one as the breakfast area had been refurbished but the rooms still had Travelodge fittings. Hopefully they will get around to updating the rest of the hotel soon. Thanks for your much appreciated thoughts. As always–beautiful pictures. Every time you post my “bucket list” becomes greater. Love your web site. Take care. B. You are so sweet! Thank you for your inspiring thoughts on my blog, I’m so pleased you enjoy reading it. Thanks for sharing! Looks like a fun day. Thank you Sandra for your kind words. We had a good time in Blackpool despite an afternoon of heavy rain. Thank you for getting in touch and it’s good to read you have fond memories of visiting Blackpool as a teenager. The promenade has improved enormously but lots of other landmarks are just as they used to be. I don’t think I’ve ever been to St Anne’s Marion but I like the sound of it – definitely one to remember! The pier looks beautiful but how dreadful it is an amusement arcade inside – definitely not my idea of a fun place. Shame about the rain but you made the most of your trip!! I was brought up on the Fylde coast Joy so am very familiar with the area despite not having visited for awhile. St. Anne’s-on-Sea is lovely as are it’s close neighbours Lytham and Fairhaven. About once a week in the summer months we used to drive the short distance to St. Anne’s for an evening trip out. Mum would read her book or newspaper whilst Dad and me would enjoy a round of putting or crazy golf on the promenade. We were never very good but we had lots of fun! Thank you, so pleased you enjoyed them! That’s one way of being positive about wet weather, I’ll have to remember that! Glad you enjoyed this post and thank you for your kind words. My kid would love this. That’s good to read, Blackpool’s a great place to visit. Thanks for your much appreciated comments. Thank you for your kind words Natalie. I think Blackpool is designed to make people feel happy. I’m glad it’s having that effect on you. I have never heard of these small places near Blackpool. Guess they get drowned out by their big neighbour, but they look quite lovely. 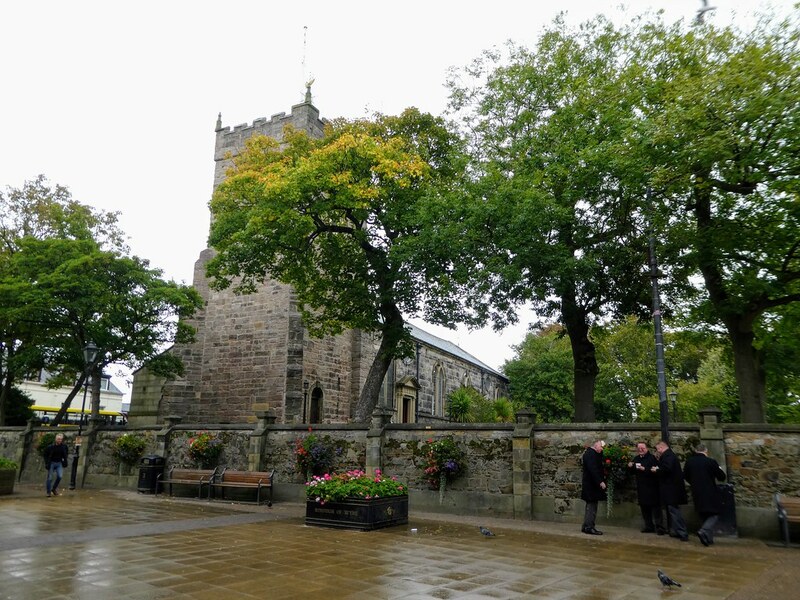 St. Anne’s is a smaller tourist town but doesn’t get as many visitors as Blackpool despite being so near and I would imagine that it’s only locals who visit Poulton-le-Fylde but it’s really nice, especially if it’s not raining.